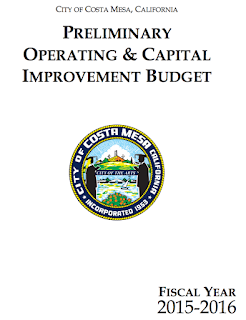 At a Study Session in Council Chambers Tuesday night the Costa Mesa City Council heard the presentation of the 2015-2016 municipal budget as presented by Chief Executive Officer Tom Hatch, Interim Finance Director Steve Dunivent and Public Services Director Ernesto Munoz. 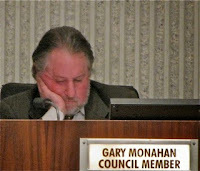 Four of the five council members were present - lame duck Gary Monahan was absent. Sixteen residents - outnumbered in the auditorium by nearly two dozen staffers - heard the presentation and may have come away a little confused... I know I did. For example, in his preamble before handing off the presentation of the budget details to Dunivent, Hatch said this to the council: "In short, we're bringing you a budget that is right now $10.1 million dollars out of balance. 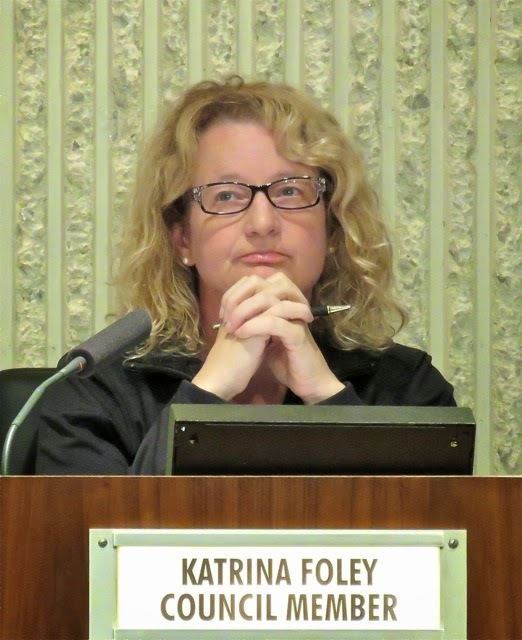 If the City Council decides not to try to fund all of the capital projects that we have available to you and goes with the 43 projects that we have recommended that $10.1 million dollars goes away." 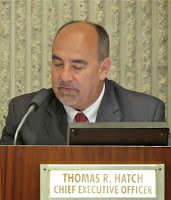 Then, as we read through the "Chief Executive Officer's Budget Message" that was part of the staff report, which you can read HERE, the second paragraph says: "As presented, this represents a balanced budget for the coming fiscal year without the use of General Fund reserves and provides the highest level of service to the community within existing financial resources". So, is it balanced, or not? 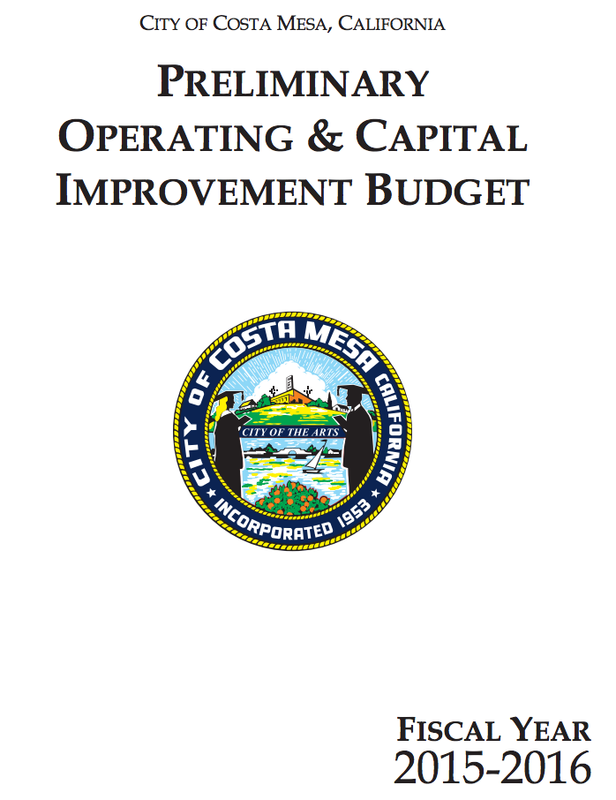 During the presentation the council and several staff members had a copy of the actual 360-page Preliminary Budget document - which you can view at the libraries, check out from the City Clerk's office, buy for $36.00 or do as I did - view it online, HERE. Trust me, there's more detail in those pages than you'll ever want to know.... but it is there for the viewing. 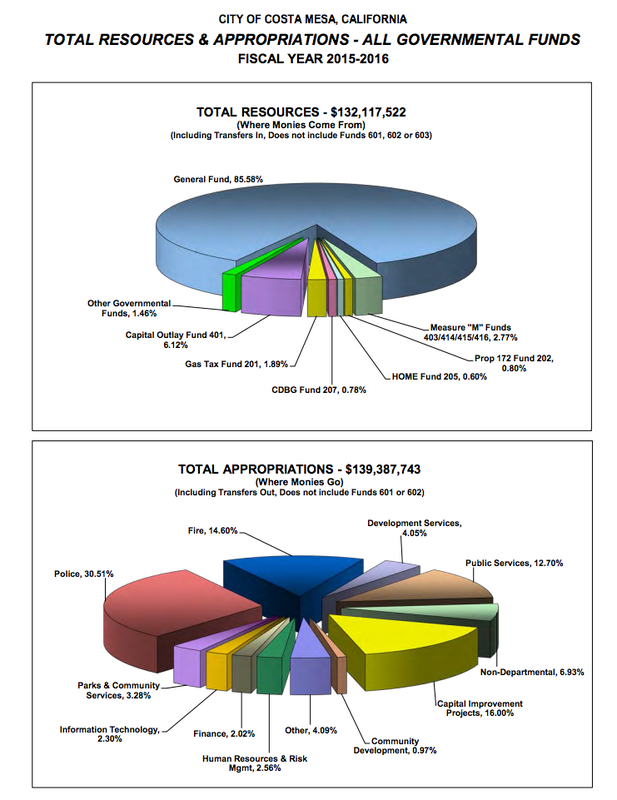 The short version is, we have a budget that is nearly $148 million, up 5.7% from the current year, and it balanced. It includes Hatches $1 million "contingency" fund - the piggy bank the council raids throughout the year whenever they like rather than buckle down and focusing on the budget now. It includes 5% for Capital Projects, enhanced by another 1.6%. And, it includes $500,000 to pay toward the unfunded pension liability, which is like bailing out a sinking boat with a tea spoon. Here's a few charts that will whet your appetite for more data. 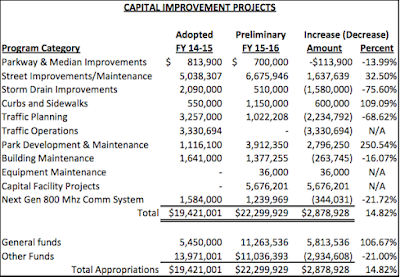 Hatch presumes that the council will agree with his assessment of the Capital Projects, and will go along with his choice of 43 projects instead of the entire 113 projects on the original list, which you can read HERE. 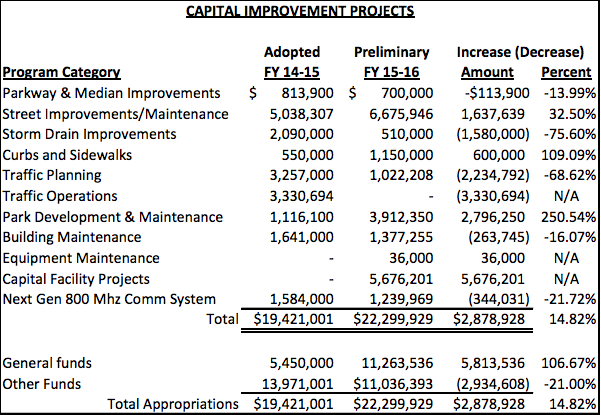 Those items highlighted on the pages are the projects recommended by the CEO for completion in the 2015-2016 fiscal year. The total is over $22 million, up just under 15% from the current year. Here's the summary of those projects. Hatch told us there are NO PAY INCREASES beyond those contractually obligated in this budget... a real motivating factor for the employees, I'm sure. Some notes... the City Attorney budget was bumped up to $1 million from just over $800,000 (24.53%) but that's only half the increase they'd requested. 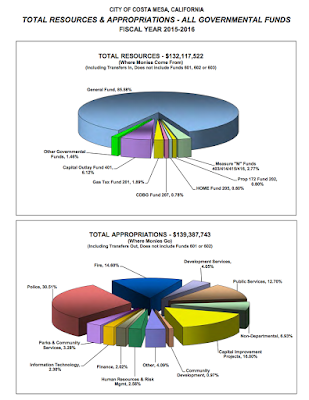 The Police Department budget dipped 3%, but that number is easily-explained. What is NOT explained is the fact that the authorized staff remains at 136 - not even barely satisfactory, but especially grim when you figure we are actually placing fewer than 90 officers on the street today. Vacancies are slow to be filled because it's just not possible to attract lateral transfers to our city. We rely, instead, on hiring officers right out of the academy - great young people, but young is the operative word. The Fire Department still has no budget to replace both the rotting fire stations and no budget to fully field all those $250,000 transport ambulances - 6 of them - that we purchased with the intent to begin transporting patients instead of having our outsourced contractor, CARE Ambulance, continue to rake in that money. Right now only three of them are deployed. Among the many questions Hatch and his team didn't immediately answer was about what appears to be a depletion of the self-insurance fund. 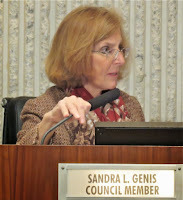 When Mensinger asked the council members if they had any questions Sandy Genis jumped right into that hole and took over. She had spent a lot of time drilling down into the big budget document and found lots of morsels to chew on. And, unfortunately, in more cases than not, Hatch and the staff did not have answers for her - surprising because of all the time Hatch told us they'd spent preparing the document. She just kept drilling and drilling and drilling. Katrina Foley observed the very thorough presentations by all departments, including their list of accomplishments, goals and objectives and renewed her request for the council to go through an exercise where they, as a group, could create a similar list - particularly the goals and objectives part. The majority has resisted any type of exercise that would result in that kind of road map for the future. On Thursday, May 21, there will be a Community Budget Meeting at which time members of the community are encouraged to attend and ask questions. I've attended most of these meetings for a decade and usually get a lot out of it. They have been very casual events in the past, so I encourage you all to plan to attend the meeting. I'll write more about it when the agenda is released. I'm glad we have Genis and Foley to keep it honest. Riggy and the newporters are on the defensive. Their control in CM is fading, and the light is shining on them from multiple sources. A Great Day At The Wedge!